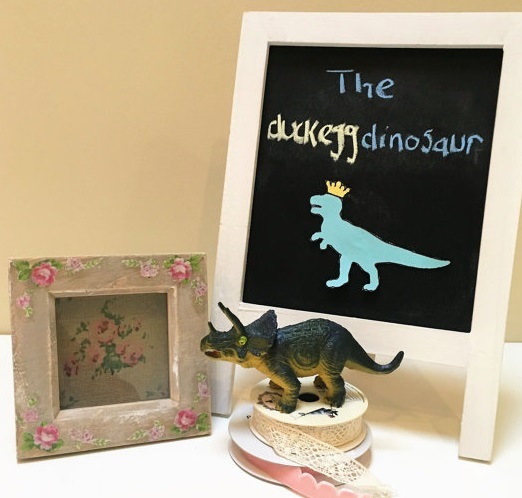 theduckeggdinosaur is an Etsy store that I was drawn to initially due to the cute quirky name! The store sells lots of hand made home decor items such as lamp shades, memo boards and photo frames. The items are crafted with really quirky, pretty, retro fabrics so they totally speak to my heart. Emma also uses lots of florals which I love, and her creations are often finished with cute crochet lace ribbon and pretty pom poms. 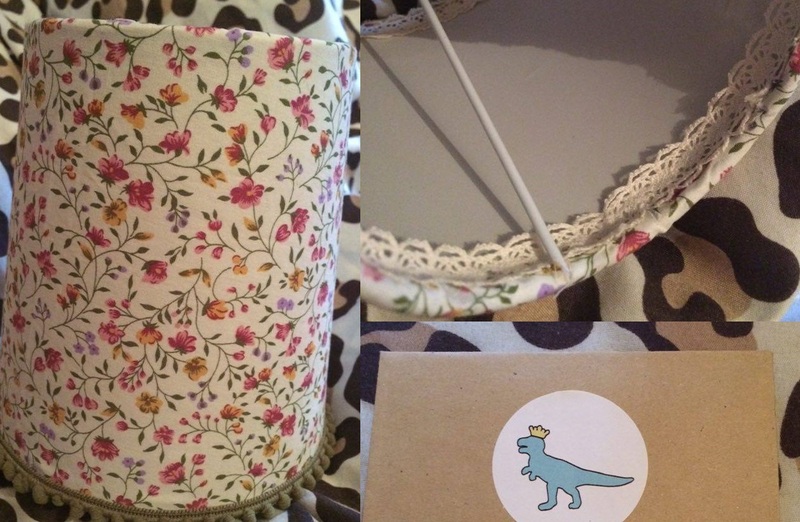 The first item that I have to show you is a botanical print handmade lampshade which is totally beautiful and so dainty. I need to get an actual lamp to fix her to but as I'm still in the process of moving house, I'm yet to acquire anything and all my belongings are everywhere. I'm in love with the botanical print, it's beautiful - and the green pom pom trim is adorable. Inside, it's finished with crochet lace ribbon top and bottom. I'm so in love with this and cannot wait to grab a vintage quirky ceramic lamp to use it with! The second item is this lovely shabby chic picture frame with a fabric floral decorative piece inside. 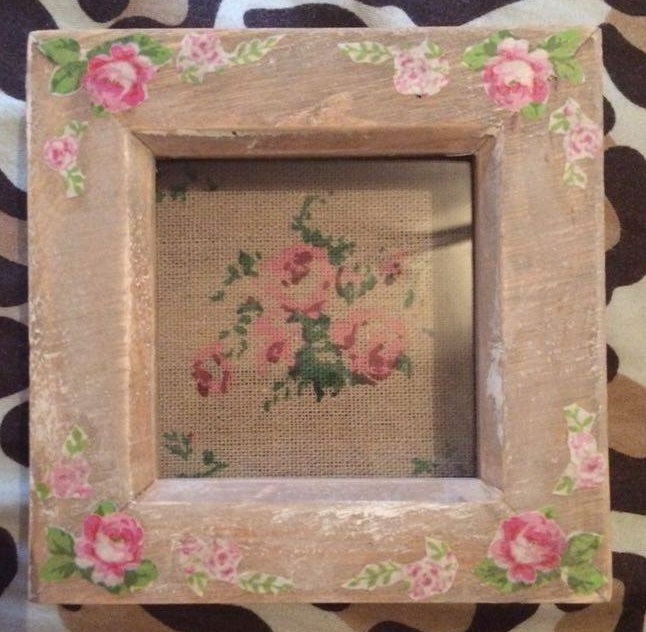 The frame itself has been weathered and sanded to give a nice effect and then been decoupaged with florals. I love this and it will go on the wall nicely next to a framed floral tapestry that I picked up from Oxfam a while ago. Have a look at theduckeggdinosaur, as I've said there are lots of unique fabrics on there! It's not a store to be missed - everything on there is so pretty, quirky and beautiful! And of course the items are top quality.